Improving Colorado, One Home at a Time! Get the home remodeling results of your dreams with High West Siding and Windows, Inc. in Colorado Springs, Colorado. 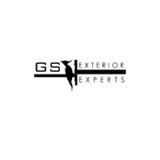 In and around Denver, and throughout the state, our general contractor services offer the best in craftsmanship, personal and attentive customer service, and more than 50 years of experience in the business. We pride ourselves on reliable and timely service with superior workmanship. Our teams of craftsmen are experts in all facets of general construction, and we currently offer a variety of finance options ranging from flexible payment plans to great financing options for any kind of budget. The siding of your home is a hugely important factor when it comes to first impressions; a damaged or mismatched exterior can cast a negative light over a property’s entire aesthetic! If you need new siding installed, or your exterior is in need of repair, repainting or replacing, a Highlands Ranch, CO siding and exterior contractor can help you out. What types of siding services do Highlands Ranch exterior contractors provide? Wood siding needs more maintenance than less-expensive, low-maintenance vinyl siding, but with proper care it will outlast vinyl siding, which can fade and crack over time. Your Highlands Ranch, CO contractor might also suggest fiber cement siding, which is fire resistant and termite-proof and can come with a warranty of up to 50 years. Find siding and exterior contractors in Highlands Ranch, CO on Houzz. Narrow your search in the Professionals section to Highlands Ranch, CO siding and exterior contractors. Find out how long a Highlands Ranch, CO exterior remodeling contractor has been in business, view portfolios, read reviews and get contact information.